If 2011 has been the year of moving everything “into the cloud,” should running shoes be any different? The makers of On Running shoes, those funky, brightly colored shoes with little padded cushioning devices on the sole, certainly think so. The technology is called “running on the clouds,” which brings an element of core training to distance running. Core training transformed the fitness industry over the last decade as athletes realized they could generate more stability around their hips, midsection, and shoulders by training on unstable surfaces such as physioballs balls and BOSU balls. 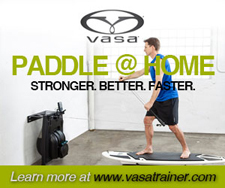 Such devices force the athlete to recruit more stabilizer muscles, thus building more strength and stability. Olivier Bernhard figured he could produce the same effect with a running shoe. 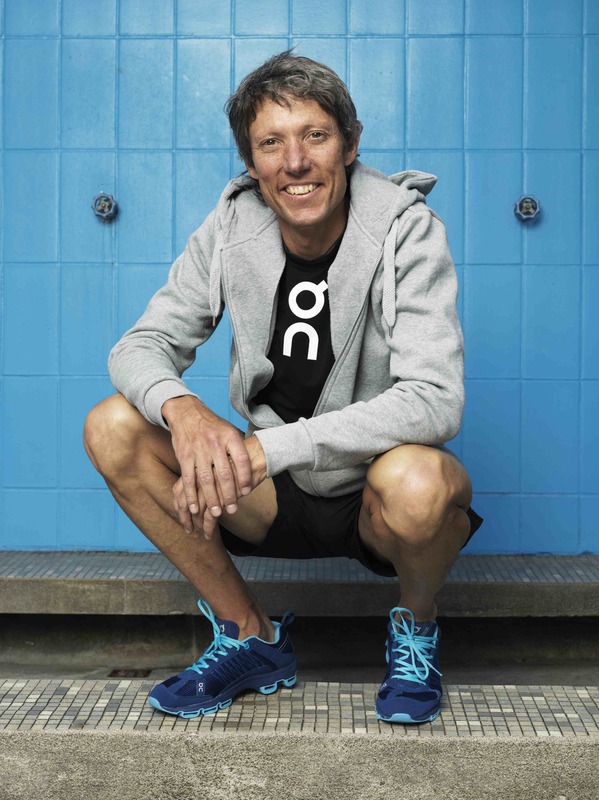 The Swiss triathlete, a six-time winner of Ironman races, had grown frustrated with nagging knee and Achilles injuries for which doctors and trainers could not find a solution. Bernhard, after all, had textbook running form. Bernhard knew he preferred training on softer, more forgiving surfaces such as gravel or sand-covered trails, which allowed his foot to softly glide into every step. Could it be his shoes? An engineer Bernhard worked with in Switzerland realized that there are two forces at work when running: the vertical and horizontal impact. It’s the horizontal impact that causes the most damage to muscles, ligaments and joints, though existing running shoes only absorbed the vertical impact. What if they could create a running shoe that would allow a runner to land as softly as on sand and to push off as effectively as on concrete? The result was On Running, with models like the Cloudsurfer and Cloudrunner launched last year. The “O” in the company logo includes a light switch, for activation, and Bernhard says the idea is to land soft and push off hard. The “CloudTec” elements of the shoe, the pads on the sole, allow the foot to travel softly into the landing. Once locked, the Clouds are completely firm for a strong push-off. This happens because the “clouds” more effectively slow down impact forces than the compressed rubber or air-like devices in other shoes. The technology, Bernhard says, is similar to a physioball, where the body must adjust to remain stable. “Think of these shoes as having a bunch of little physioballs that are continually providing feedback to your foot to stabilize your landing and stabilize the hip,” he says. Bernhard says he’s not selling shoes but rather a “different sensation of running” and, indeed, the Cloudsurfers I’ve tested in recent weeks provide a different feel than anything I’ve worn in recent years, including Newtons and Vibrams. Bernhard says it’s a mistake to lump Ons with minimalist footwear but to think of them as a training shoe to build stability, and thus speed. (On will introduce racing flats shortly). The endurance sports crowd seems to be embracing the Ons – along with celebrities. FitNiche, the running store in Clearwater, reportedly sold several pairs of Ons to part-time Clearwater resident Kirstie Alley, who saw her “Dancing with the Stars” partner wearing them. 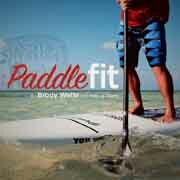 During the filming of the movie “A Dolphin Tale” in Clearwater, a producer bought a pair from FitNiche and soon returned with orders for cast members Morgan Freeman and Harry Connick Jr.
We’re all for anything that produces core stability, especially among the running crowd which often is guilty of doing little training beyond running. Getting a core workout while running is a great way to get the most out of your training time. We’ll see if On Running has staying power in a crowded market, but right now we’re enjoying running on cloud nine.